HomeCosmic ‘Cyber Monday’ – Will NASA’s InSight Successfully Land On Mars Today? The InSight mission is a NASA project with the goal of setting a robotic spacecraft on the surface of Mars to collect in-depth, detailed data on the red planet. 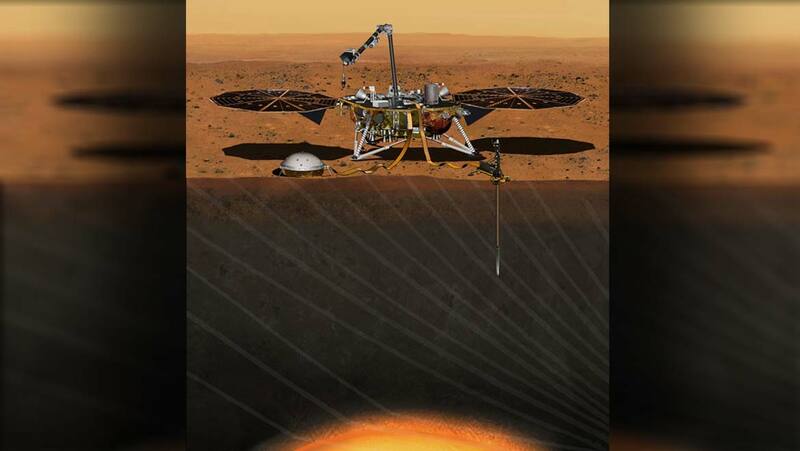 InSight will deploy a range of powerful, precise seismological instruments that may give a better idea of the makeup of Mars from core to surface. At least, that is the plan should the InSight robot touch down and land successfully. The event is scheduled for 26th November 2018, at 3 pm ET/12 pm PT. To this end, InSight was launched from the Vandenburg Air Base on May 5th of this year. The Mars lander did not fly alone -- it was propelled into space with two novel types of spacecraft called CubeSats. This module is a super-lightweight and a small type of space-going vehicle. It contains relays and antennas in order to communicate with its operators (i.e., NASA on Earth). The CubeSat was designed to make exploring the cosmos more open and accessible to interested members of the public. The CubeSat design is a standardized ‘box’ (as the name suggests) about 4 inches on a side. A user can equip this basic CubeSat ‘skeleton,’ with conventional technology and equipment, to make a tiny craft that may be robust enough to survive deep space. Multiple CubeSats can also slot together to make a larger, more extensive mini-ship. Once launched, these cubes can be programmed to deploy their radios and relays in order to take commands from their operators back home. The InSight launch, therefore, also represented a maiden launch for these innovative little space-going boxes. The two CubeSats currently flying with InSight are called Mars Cube One (MarCO, or MarCO-A and MarCO-B). They have also been nicknamed WALL-E and Eve by their NASA owners. The MarCOs are made of 6 CubeSats each. They both measure 14.4 by 9.5 inches by 4.6 inches. Besides their radio equipment, the MarCOs also sport solar panels and high-quality wide-angle cameras amongst their gear. They are mostly intended to keep pace on InSight and to support the telemetry it sends back to Earth if necessary. InSight has communications technology of its own and can also rely on the pre-existing satellites that orbit Mars to send the data it collects back to Earth. The MarCO project was intended to prove that they can survive and function while traveling to a destination such as Mars. This aim appears to have been fulfilled - currently, the MarCOs are cruising toward the red planet alongside InSight. So far, the Mars Cube Ones have traveled about 248 million miles in the proper direction since their launch. Recently, MarCO-B has offered proof of its successful journey. It was a reassuring sight, especially for those scientists and engineering who believe that this type of mini-craft will have a role in the interplanetary explorations of the future. 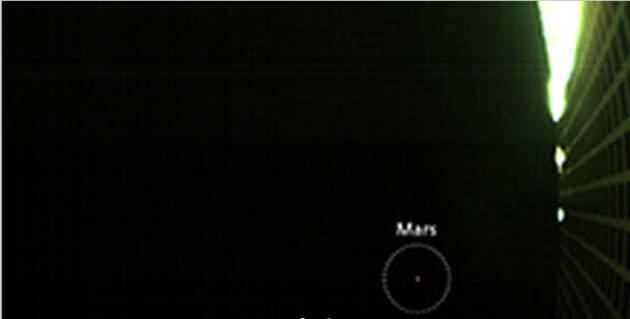 Based on the position of the camera on MarCO-B’s deck, the vehicle also caught part of its own radio antenna in the picture of Mars it had sent back to Earth. This image, which could be thought of as the first interstellar selfie, is an additional assurance that the CubeSat is intact and functioning as it should. The “selfie” was taken about 8 million miles away from Mars. Therefore, the MarCOs still have quite some way to go yet, especially as Mars is slowly spinning away as it orbits the Sun. Should the MarCOs reach the planet, they will not be landing with InSight. Instead, they will be standing by in a Martian orbit. This will enable them to document InSight’s entry into the planet’s atmosphere, its descent through it and the touchdown on Mars. However, the fact that the CubeSats are still flying is a victory for its affordable, modular potentially space-going siblings.